We started this project on a day when I put my foot down about screen time. 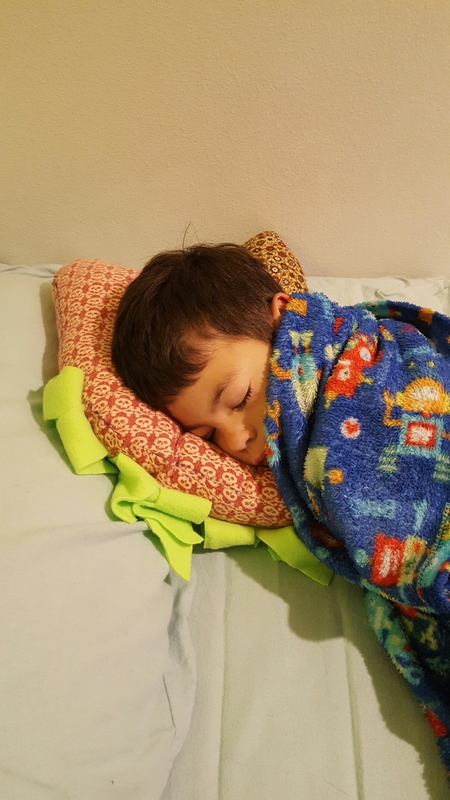 He was bored and didn’t know what to do with himself, so I suggested that he draw a picture of the tooth fairy pillow he wanted. Soon he was choosing fabrics from our fabric bin, tracing the patterns he’d made, and cutting the fabric. The next day, he admitted that making stuffed animals was more fun than playing Minecraft and agreed to a daily screen time limit of 30 minutes.